Soup kitchens are still standing strong around the Klang Valley. Since the outcry over the proposed ban, there has been no legal action taken against soup kitchens. If you haven’t volunteered at a soup kitchen and would like to, here’s a list of groups which are currently active. Most do not need any experience, but some will have basic training. Alternatively, you can buy a suspended meal to sponsor food for someone hungry. The Kechara Soup Kitchen requires volunteers on weekdays to pack and distribute food to the needy in the morning and afternoon. On Saturdays, the team gather at the soup kitchen on Jalan Barat at 9.00 pm to pack and distribute before moving on to their Food Distribution rounds. First-timers who wish to participate in Saturday night rounds are required to attend a compulsory orientation briefing on Saturday at 8.30 pm. If you’ve nothing to do on at 5.30 on a Sunday evening, why not volunteer at Dapur Jalanan? They gather every week at Jalan Panggung to serve food to the needy. They accept monetary donations as well as food if you’d like to contribute further. Love to cook? You can come a little earlier on Sunday at around 2pm and help the team to prepare meals! 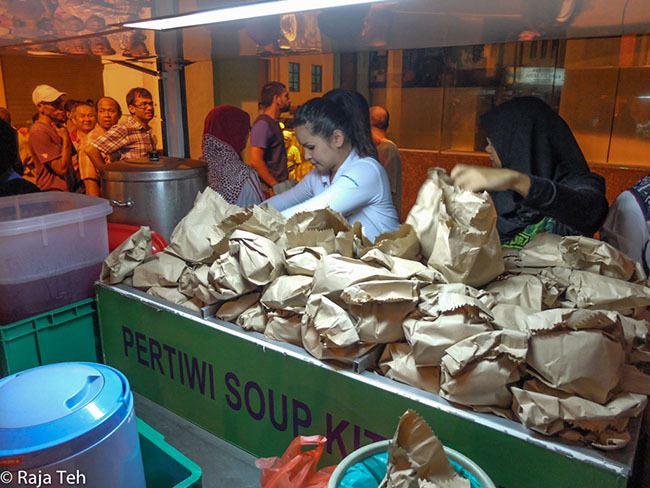 The Pertiwi Soup Kitchen is responsible for feeding 500 – 700 people with the help of their committed volunteers. They distribute pre-packed healthy food and drinks four times a week in KL. They make 5 stops on their distribution route start which starts at 9 pm on Jalan Tunku Abdul Rahman and ends at Masjid Negara at approximately 11.40 pm. The Assumption Church in PJ has their very own soup kitchen on Mondays and Wednesdays. They urgently require committed volunteers to prepare, serve, cook and clean up on soup kitchen days. The kitchen opens at 7.30 am and is ready to serve at 11am. 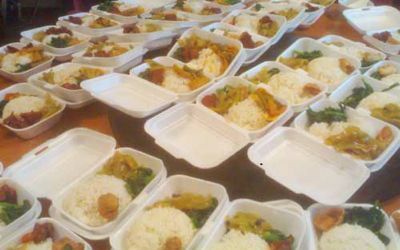 The Assumption Soup Kitchen (ASK) distributes the meals to those in need at the Assumption Family House which is just behind the church. Reach Out Malaysia have been distributing food to the homeless for seven years without fail. Their rounds are usually centred around KL and is lead by the respective run leaders for the day. They accept monetary as well as food donations and welcome anyone who is willing to volunteer. The Nasi Lemak Project started out as project by students from the International Islamic University of Malaysia (IIUM) Gombak. More than a year later, the project is still staying strong. The people behind the project believe that everyone needs a Nasi Lemak bungkus every now and then, especially the homeless. The team gather every Friday, Saturday and Sunday to cook the food and distribute the meals in KL. They are always on the look out for financial donations to maintain and upgrade their kitchen and dining facility and volunteers are more than welcome. 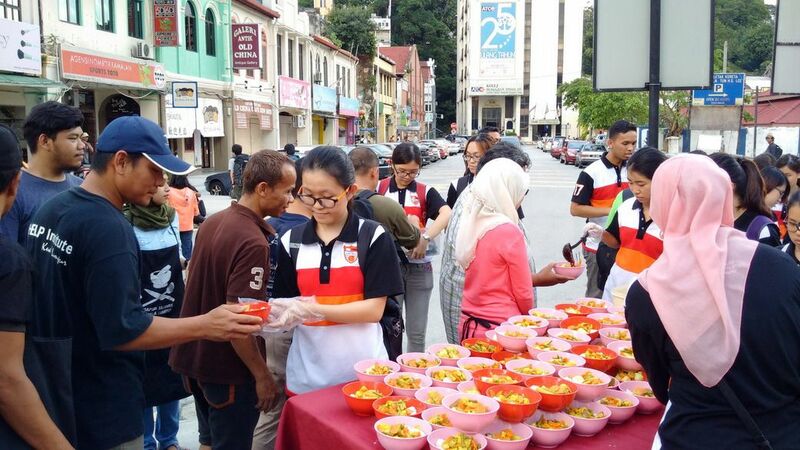 Every Sunday, Food Not Bombs – KL prepares and shares hot, vegetarian meals with people in central Kuala Lumpur. The movement is an informal collective of people of all ages and backgrounds who are dedicated in helping those in need. They cook their meals at their outdoor kitchen near Segi College from 1pm to 5pm and eat together by Muzium Telekom from 5.30 pm to 7pm. Jalan Hang Lekiu, 50100 KL.